While both communities make no bones about their displeasure with the BJP, the saffron party is hoping to win the election by bringing in face faces and banking on the “Modi charisma”. Ravi Das Chhatravas in Saharanpur city is abuzz with political debates. This hostel houses graduates and post-graduates from villages around Saharanpur who are preparing for civil services and other entrance exams for government jobs. Most of them claim to have voted for the BJP in 2014, but today feel cheated. Anuj Kumar, a resident of Rogla Hatholi village, is son of a daily wage labourer. He completed his graduation a year ago and was hopeful of getting a job which would pull his family out of poverty. This hope had made him vote for the BJP in 2014, but today his political preferences have changed. “Last election, I voted for the saffron party, because (Narendra) Modiji promised us jobs. 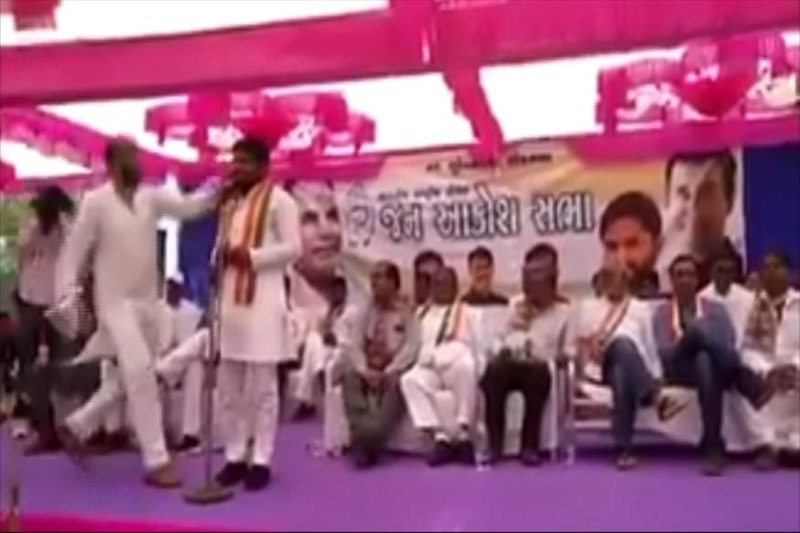 He showed us the Gujarat model and I thought we would get jobs if he comes to power, but we got nothing,” Anuj says. The lack of jobs or unemployment is the most common complaint. However, the other grievance these youth nurse is about the Supreme Court order that weakened the SC/ST (Prevention of Atrocities) Act. Even though the government has amended the law to counter the Supreme Court order, the delay in filing a review petition and the handling of the violence by state governments in the immediate aftermath has created a lingering suspicion. Rajkumar, a Dalit activist and manager at the local girls' college, is unsure about the Union government’s stand on the law. “Last time, Dalit youths had voted for Modi, but this time, the biggest issue is the SC/ST Atrocities Act. The government did not argue well and hence, the SC set aside the act. A new law was brought in and this was again challenged in the apex court. Once again, the government is not arguing well. We are scared that if this government comes back, it will set the aside the act,” Rajkumar says. This debate on unemployment and caste atrocities is a thread running throughout conversations at the Sahranpur hostel. However, the students also question the government’s stance on reservation. The 13-point roster system proposed by the Ministry of Human Resource Development that’s expected to drastically reduce reserved posts for teachers in universities and 10% quota for upper caste poor are issues that these young Dalit men talk about. UPSC aspirant Prabhat Kumar says the government is deliberately denying opportunities to Dalits. “Our Constitution framers had made it clear that reservation can only be on social backwardness criteria. Why provide the 10% reservation to upper caste people on economic criteria?” he asks. Nitesh, who completed college recently, wonders why the 13-point roster system was introduced by this government. “This systems will ensure only general category people get jobs. There will be only a handful vacancies left for lower castes. And for these one or two seats, people belonging to other backward castes, scheduled castes and scheduled tribes would compete. We weren’t aware of caste hatred until 2014. Now, even children know what it means,” Nitesh says. Their resentment could turn out to be a concern for the ruling party as numerically, they are an important vote-bank in the caste-ridden political landscape of western Uttar Pradesh. Dalits make about 25% of the voters in almost all the eight constituencies that will vote on April 11. 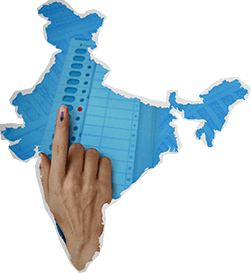 The saffron party had swept the 2014 Lok Sabha election, as well as the 2017 Assembly poll. Vikas Vashisth, associate professor of political science in Meerut College, says Hindus had rallied behind the BJP in the last two polls primarily because of the polarisation after the Muzzafarnagar riots. However, caste violence against Dalits in the last few years have fractured that consolidated support. “Backward castes which had voted together are now breaking down in sub-groups. We will see its effect in the election,” he says. The breakdown of the socio-political alliance came to the fore when the upper caste Thakurs clashed with Dalit Jatavs. Villagers say the violence on May 8, 2017, was a result of long simmering tension. The objection of Dalit locals to loud music being played on Maharana Pratap Jayanti led to the clashes. However, 73-year-old Balbutri Devi, a local, says the day’s event was an excuse. The Thakurs were unhappy with the expansion of the local Ravidas temple. They used the occasion to vent their anger against “Dalit assertion”. “They wanted to celebrate Maharana Pratap Jayanti, but I had said we would only worship Baba Sahib (BR Ambedkar). I was sitting here when they came. I poured four buckets of water to douse the fire, they were about thousands in number. What could I do? The Thakurs came and thrashed me. They didn’t even let the fire trucks come in,” Balbutri Devi recounts sitting near her half-burnt house. The septuagenarian was at home with her two infant grandchildren when the Thakurs from neighbouring villages allegedly came to attack her and her neighbours. Nearly two years later, she is still waiting for the government to rebuild her home as promised. She has not received a penny from the Yogi Adityanath government. On the other side of the road, octogenarian Ram Parmal limps around to show us what was once his house. The soot on the door frame bears testimony to the horror Parmal and his son, who was injured, experienced when the Thakurs, who employed them on their farms, came to attack. “My door was shut. They broke it open. Everything was burnt down. No one was punished. The Bahujan Samaj Party (BSP) gave us Rs 50,000... Nothing from the government,” Pramal says. Echoes of the violence are heard throughout Dalit bastis in Saharanpur, Meerut and Muzzafarnagar. 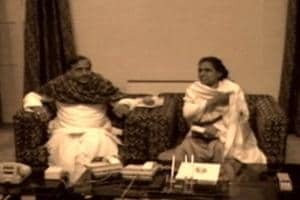 The Dalit agitation post the Shabbirpur clashes gave rise to homegrown leader Chandrashekhar Azad, but the fact that his political plans are not yet clear, means the community in the region will support the Mayawati-led BSP. Nirsingh of Shabbirpur says ‘Behenji’ (as Mayawati is popularly known) will be the Prime Minister. Another local says that the alliance between the Congress and BSP, SP (Samajwadi Party) and Rashtriya Lok Dal could have helped the scenario. Shabbirpur is a primarily Jatav village. The community went with the BSP even at a time the BJP swept the Hindi heartland. However, in Meeruts’s Rajawan Bazaar Valmiki Basti, even non-Jatavs expressed their unhappiness with the BJP. Ram Swarup Rajput, the pradhan of the basti and a retired Army personnel, believed in Modi when he spoke of a new India in 2014. However, like others, he is a disillusioned man. “Where is the promised Rs 15 lakh? Where are the jobs? In 1971, I was a soldier in Indian army. Indira Gandhi brought so many Pakistanis as prisoners of war, but no politics happened. Today, they bring back one Abhinandan and look at the kind of politics (that is happening over it),” he says. Sitting next to him is Deepak, a school pass-out. Lamenting that even education has not lifted him out of his caste-decided professional identity, he says, “I clean toilets in hospitals and get Rs 3,500 a month. How has my education helped me? If this government comes back, we will be forced to beg,” he says. Chowdhary Charan Singh had coined the MAJGAR alliance between Muslims, Ahir, Jats, Gujars and Rajputs to defeat the Congress hegemony in western Uttar Pradesh. The Muzzafarnagar riots ensured the breakdown of this alliance as Jats took on Muslims. 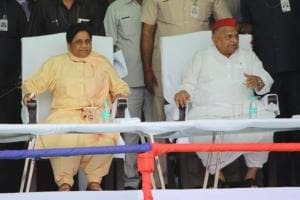 Now the RLD-SP-BSP alliance is once again trying to unite the Jats, Mulsims and Dalits. However, Muslims are unable to choose between the alliance and Congress. In rural belt, like Kairana, most Muslims expressed their support for the alliance. But in the urban areas, the scenario is different. Among handicraft makers in Saharanpur city, the majority of the Muslims favour the grand old party. Ismail, who works in the handicraft market of Saharanpur, says had the Congress joined hands with the alliance, the choice would have been easier for him. “My work suffered because of GST. I would vote for the Congress. But it would have been better, had there been a grand alliance,” he says. Sugarcane farmer Iqbal Gujjar in Kairana says, “We had voted for Tabbasum (alliance candidate) in the bypoll. We will again vote for the alliance. But if the Congress had allied with SP-BSP, the votes would not have split,” he says. An alliance of Dalits and Muslims, who together make about 40% of the total voters in Western UP, is crucial to bring about a political change here. While both communities make no bones about their displeasure with the BJP, the saffron party is hoping to swing the election in its favour by bringing in face faces and banking on the “Modi charisma”.